Veteran Hawker Hunter jets have returned to RNAS Yeovilton to help train warships fend off air attack. Three of the one-time fighters – which were based at the Somerset air station for nearly a quarter of a century – are flying from there in a trial run, working with Hawk jets to test the Fleet undergoing training off Plymouth. HERE’S a sight to stir the hearts of aviation buffs – and divert the attention of a Sea King aircraft handler. A Jungly handler is drawn to the rare sight – and noise – of a Hawker Hunter taking off at RNAS Yeovilton as the famous old jets make a welcome return to Somerset. Three of Hunters are making a reappearance at Yeovilton to see whether they can aid existing Hawk jets in training the front-line Fleet. Right now the distinctive dark blue Hawks and Falcons of the Fleet Requirements and Air Direction Unit (FRADU) simulate missile and fast jet attacks against Royal Navy and visiting warships going through the rigorous test of Operational Sea Training off Plymouth. That training is run by the Flag Officer Sea Training organisation, who are now sponsoring a trial to see whether Hunters can also be used to bolster the air-attack experience. Hawker Hunter Aviation, which owns the jets, detached the three from their base at RAF Scampton (once home of the Dambusters and now home to the Red Arrows) to Yeovilton for the trial, which runs to the end of the month. A child of the early 1950s when British aviation led the world, the Hunter set the then world speed record back in 1953 (727.63mph). Some 90 of the aircraft flew with the Fleet Air Arm in various capacities from the end of that decade until the mid-90s – and the jets were based at Yeovilton with FRADU from 1972 until 1995. Since their retirement from the Somerset air station, they have returned occasionally since, most recently in 2009, but not for a protracted trial like this. Amazing footage of Volvo Ocean Race entrant Telefonica battling 10 metre waves in the middle of the Southern Ocean. Tuatara are released onto Motuihe Island in the Hauraki Gulf near Auckland. Tuatara are now living on the door-step of New Zealand’s biggest city. Sixty of the under-threat creatures have been released on Motuihe Island in the Hauraki Gulf, 30 minutes ferry ride from downtown Auckland. It is only the tenth recorded tuatara release and is the closest the native New Zealand reptile has lived to an urban population. The sixty tuatara were previously living on Northland’s Lady Alice Island. They were flown to Motuihe on board a helicopter, accompanied by representatives of Northland iwi Ngatiwai. A special handing over ceremony was held when the reptiles arrived at the pest-free island yesterday afternoon. “People can get a better experience of tuatara roaming free in the wild, right on Auckland’s door-step,” says Tuatara expert Dr Matt Baber. Half of the 60 tuatara were released during the public viewing over the weekend but the rest will be freed at undisclosed locations on the island. The reptiles can earn $50,000 on the European black market. Of the tuatara attempted to be smuggled out of the country, Matt estimates five per cent will make it to their destination. It cost $40,000 to relocate the creatures to Motuihe, all of that cost raised by the Motuihe Trust. There is thought to be between 50,000 and 100,000 Tuatara living in the wild. It’s hoped that the 60 dropped at Motuihe will eventually grow to a population of 18,000 in a few hundred years. China’s refitted aircraft carrier will begin serving in the navy officially this year, seniormilitary officials said yesterday. Fighter jets will soon be involved in sea trials that have been running smoothly so far,Xu Hongmeng, deputy commander of Chinese navy, said. “The military authority plans to let the aircraft carrier be commissioned this year,” Xusaid in Beijing. A Ministry of Defense spokesman said previously that the carrier would be used mainlyfor scientific research and training pilots for future carriers. Military experts believe the carrier will be commissioned on August 1, China’s ArmyDay, and will serve in the South China Sea. It has yet to be named. Photographs posted online have shown aircraft and helicopters landing on the deck ofthe carrier in the port of Dalian in northeast China. Chinese J-15 fighters, which military experts regard as the most ideal aircraft for thecarrier, took part in short-distance take-off and landing exercises late last year, theBeijing-based Legal Evening News said yesterday. The vessel will have fighting capability only after fighters can land and take off from thecarrier, said carrier expert Zhang Yao, senior researcher at the Shanghai Institutes forInternational Studies. The carrier has taken part in four sea trials in the Yellow Sea since its first one lastAugust. The vessel will be capable of carrying around 30 fighters and helicopters and carry acrew of around 2,000. The Admiral Kuznetsov class aircraft carrier was bought from Ukraine in 1998 as anempty shell and has been refitted for its role as a research and training platform. Allweapons and radar systems and other equipment on board were made in China. China still has a long way to go to have its home-produced aircraft carriers, because itneeds to adapt to new development trends in development, Xu Xiaoyan, a People’sLibration Army lieutenant general, said yesterday. “China will need at least threeaircraft carriers,” Xu said. Garden Island Naval Base t host cruise ships? 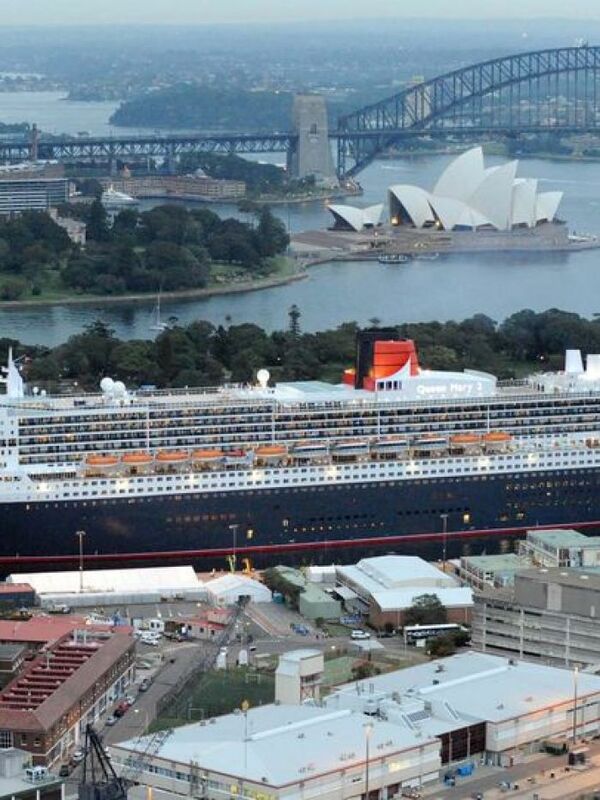 Mega-cruisers such as the Queen Mary 2 already use the Garden Island naval base, but the industry and the NSW Government wants to expand the site’s use. Defence Minister Stephen Smith has still not revealed if he will approve a plan for naval ships to share their Sydney base at Garden Island with the cruise industry. 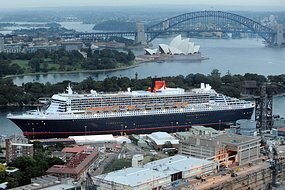 Last year Mr Smith announced a review to consider the future use of the base, HMAS Kuttabul, by visiting cruise ships. Liners that cannot fit under the Sydney Harbour Bridge already occasionally use the site, but the New South Wales Government and cruise industry are pushing for that to become a permanent arrangement. Mr Smith has confirmed he received the report six weeks ago, but will not reveal what it says. State Ports Minister Duncan Gay says he hopes the Federal Government will agree to the request. He says space along Cowper Wharf Road at Woolloomooloo would be suitable for cruise ships. “We need a cruise ship industry, we need a second berthing facility but we also need and like to keep the navy. They’re both important,” Mr Gay said. Carnival Australia controls most of the country’s cruise ship industry, sailing under well known names such as P&O Cruises and Cunard. The company’s CEO, Ann Sherry, says the navy would still have the ultimate right of way if it gave up space at Garden Island. “If there was some crisis and the navy needed a berth obviously we would absolutely bow to national security,” she said. Ms Sherry says the industry has grown by more than 20 per cent a year over the past five years. Author Currin FamilyPosted on March 15, 2012 March 15, 2012 Categories UncategorizedLeave a comment on Garden Island Naval Base t host cruise ships? When a fellow shipmate was injured during the Navy’s response to the MV RENA emergency, Leading Chef Brock West showed exceptional courage and commitment. Those actions, and his dedication over 2011 to learn new skills outside those required of his job, have seen Leading Chef West awarded the prestigious RNZN Sailor of the Year prize. On 11 October 2011 HMNZS ROTOITI evacuated 21 people off the MV RENA in response to a Mayday call from the Salvage Master. Leading Chef West was the Bowman in one of ROTOITI’s Rigid Hull Inflatable Boats (RHIBs) during the evacuation. As the crew of the RENA were descending the pilot ladder, one of the RENA crew fell approximately five meters, landing on top of a sailor in another RHIB. Leading Chef West reacted immediately, jumping from his boat into the other RHIB to provide first aid. He kept the casualty safe, calm, and reassured whilst this RHIB returned to the Ship. He then stepped up and acted as bowman as the RHIB was recovered. Leading Chef West took charge of this incident from the outset and demonstrated exceptional, knowledge, skill, and confidence throughout. “It was pretty much all instincts. When I jumped into the other boat with the casualty, the training just took over,” he said from sea where he is busy exercising with the Australian Navy. 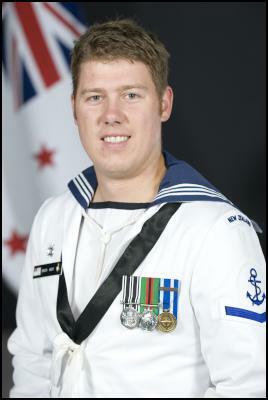 The RNZN Sailor of the Year (SOTY) is a prestigious award made only to the most outstanding and deserving candidates. The aim of the award is to recognise and foster excellence at the Junior Rating level. The award to Leading Chef West recognised his actions, and also his commitment to learning jobs outside that of being a Chef. He is now trained in RHIB driving and bowman duties, he has also learned intricate seamanship skills, meaning he is extremely valuable in whole ship activities such as when the ship is berthing or sailing. Leading Chef West was formally awarded the Sailor of the Year Badge and Citation recently by the Mayor of Auckland City, Len Brown. The occasion was witnessed by over 700 members of the Navy, his parents, step mother and younger brother. The next challenge for Leading Chef West will be deploying on the frigate HMNZS TE KAHA. Survivors of Britain’s 1950s atomic tests in the Pacific, who claim they suffered ill-health through exposure to radiation, have been prevented from suing the Ministry of Defence. By the narrowest of margins – four justices to three – the supreme court ruled that their action should be time-barred because it had been brought too late. Although the judgment relates to nine test cases, lawyers for the veterans say they will soon lodge high court compensation claims on behalf of hundreds of others, involving those who were more recently diagnosed with illnesses. Dismissing the nine test cases, Lord Justice Wilson said: “It must be bad enough for the nine veterans together … to learn that they have lost their final round, but to learn that they lost by the narrowest of margins must make it even worse. One of the nine died last weekend. The majority of justices found that the former servicemen had been aware of their illnesses since they formed a campaign group to press for compensation in the 1980s. The judges said that, under the Limitation Act 1980, their cases should have been brought within three years. The Ministry of Defence has always denied liability for the veterans’ condition, insisting that low dose ionising radiation could not cause such injuries. The cases, Wilson added, “rest on a false hope and should be brought to an end now and not later”. The veterans had contended that they did not have proper knowledge that their illnesses were connected to the atomic tests until medical research was published in 2007. Rose Clark, 71, whose husband, Michael, died of bone and lung cancer in 1992, said the case had not been “about money, but getting official acknowledgement that the men had been put at risk”. She added: “I lost my oldest grandson at the age of eight through leukaemia. I believe it was due to genetic damage. Michael was 19 at the time he was on Christmas Island, and witnessed five atomic bombs. 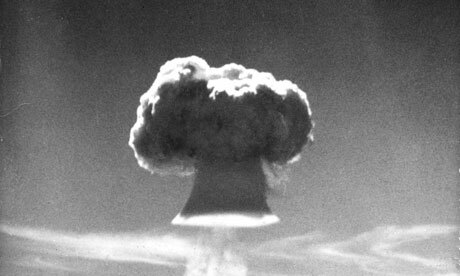 The UK carried out 21 thermonuclear tests in Australia and the Pacific between 1952 and 1958, involving more than 22,000 soldiers, sailors and airmen. 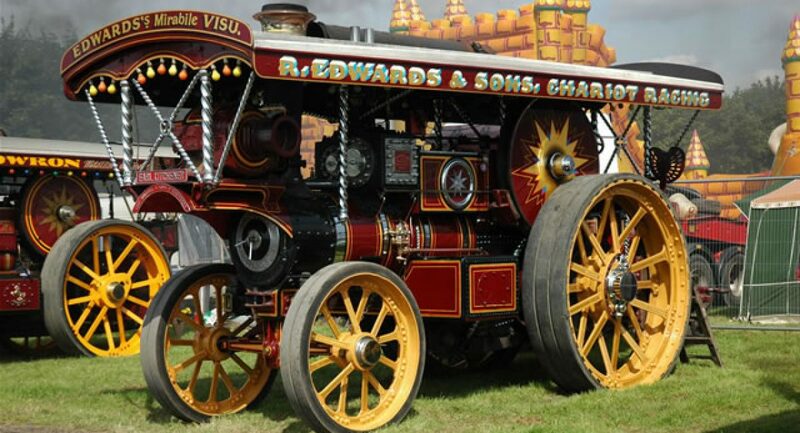 Of those, 1,011, or their surviving relatives, have lodged claims for compensation. Neil Sampson, the solicitor representing the veterans, said the government should follow the lead of other countries and set up a “fair and just” compensation scheme. “The approach that this government takes is to waste resources on fighting veterans rather than co-operating with them,” he said. “Every other single nuclear power has established ways to recognise and compensate veterans. A spokesman for the MoD said after the ruling: “The Ministry of Defence recognises the debt of gratitude we have to the servicemen who took part in the nuclear tests. “They were important tests that helped to keep this nation secure at a difficult time in terms of nuclear technology. “All the [supreme court] justices recognised that the veterans would face great difficulty proving a causal link between illnesses suffered and attendance at the tests. The supreme court described the claims as having no reasonable prospect of success and that they were doomed to fail.